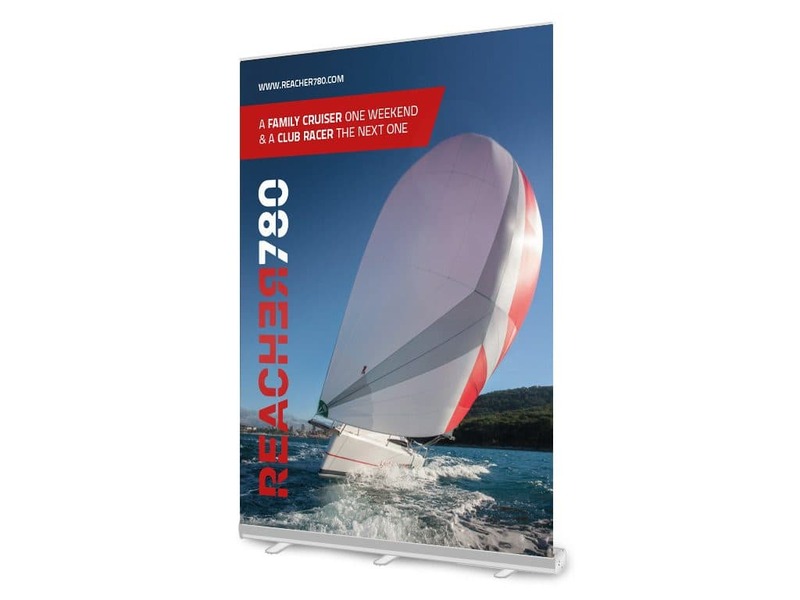 For our client Reacher, we had the task of creating promotional material for the international nautical fair in Austria. 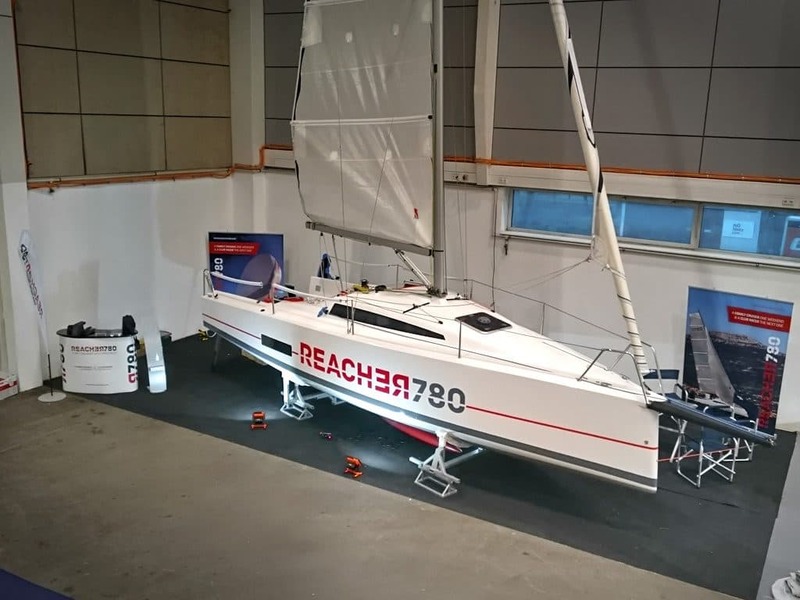 Reacher 780 is an innovative sailing boat for regattas and cruises, equally suitable for competitions and family enjoyment. It provides a unique companionship for the regatta boat, and on the other hand it is exceptionally comfortable for shorter family cruises. Fairs are an excellent way for giving companies greater visibility, distinctiveness and direct presentation of products or services. The fairs also provide the opportunity to make direct contact with potential customers and personalized access. 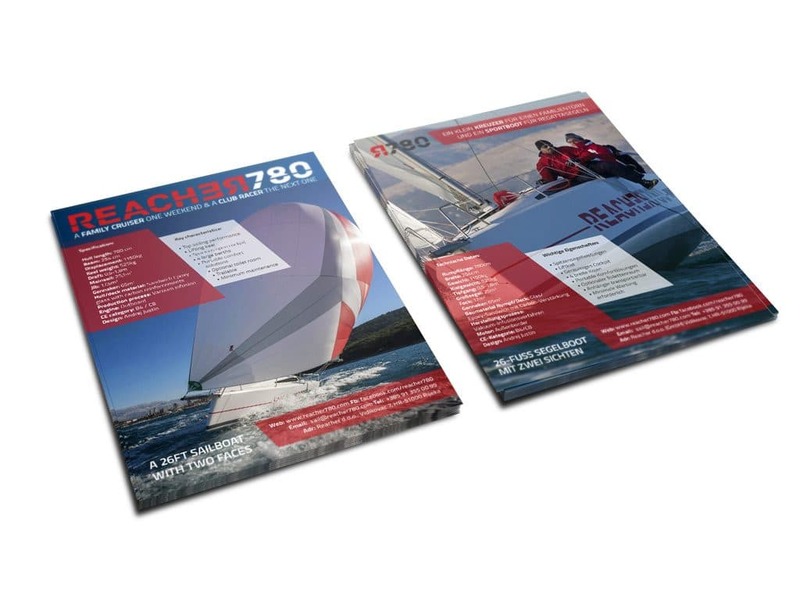 For a better impression at a fair when presenting a product or service, it is important that promotional materials reflect the brand, their quality, attractiveness, and provide the necessary information. We have created promotional materials for the needs of fair that have included leaflets, roll ups, flags and promotional boxes. We design a flyer so we could visualize the dynamics of the visual flow of information, simplicity, outstanding specifications and the main features of the product. 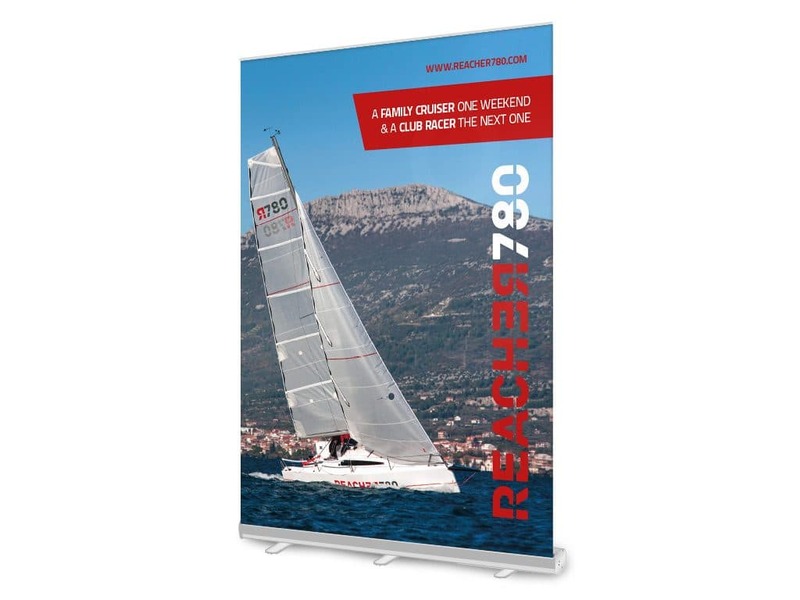 Roll up is ideal for clients who want to have quality promotional material that always retains the graphics protected during transport. On roll-up the boat is shown on its full “power supply”. 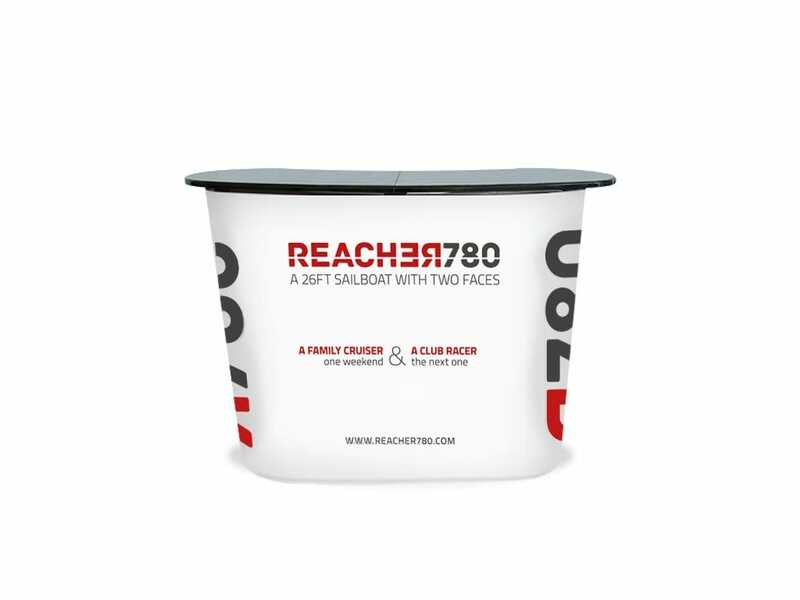 The promotional desk reflects the excellent brand awareness at the event site, and effective design attracts attention of visitor.